At Alert Electrical, we know all about electrical heating, as we sell a range of electrical heating systems. 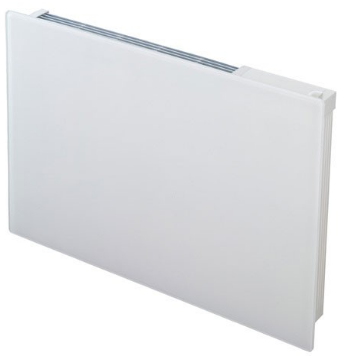 In fact, we stock over 50 panel heaters for various rooms and uses, in different styles and power outputs. In this post, we address the different rooms panel heaters can be used in, as well as explaining how panel heaters can work for pets, caravans and nurseries. Panel heaters are incredibly versatile in that they can be located in any room and all that’s required is a power source. 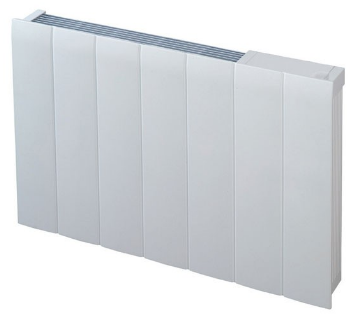 They are suitable for wet areas and bathrooms if you buy splashproof panel heaters, which we stock. Depending on bathroom size, there are numerous possibilities for panel heaters. 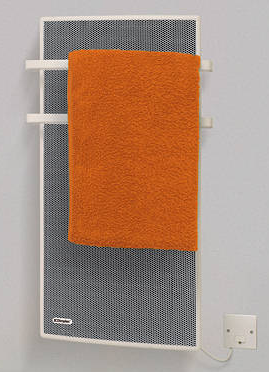 We stock a range of electric oil-filled towel rails for maintenance-free operation, towel warmers for drying small towels in bathrooms etc and stylish multipurpose bathroom radiators. All these are splashproof, many with fast heat up, meaning they can be used only when showering or bathing, or on a timer. Hallways can be draughty, particularly in period properties, where thermal insulation will be not be as high as a modern property. Poor draught insulation from old doors and windows may cause a cold spot in hallways. Panel Heaters can warm a cold hallway quickly and efficiently, without disturbing original features, like Victorian mosaic floors or original hardwood boards. They can be programmed individually with the heat stopping when the set temperature is reached. Some kitchens can be either cold or hot. Some get hot when the kitchen is being used for cooking, others cold in winter during the day. We stock a range of flexible panel heaters for kitchens that give you total control of the temperature - regardless whether you’re preparing a sandwich or salad, roasting meat in the oven or cooking on the hob. Many new homes, in particular, don’t have boilers that give off ambient heat from stored water. Condensing boilers are commonplace in many homes. The old fashioned drying or airing cupboard can be resurrected though with a discreet panel heater. It can be programmed on a set temperature overnight leaving your clothes warm and dry the next day. In older homes, where handy storage cupboards already exist, a panel heater can turn these into a drying or airing space, quickly and inexpensively. Even a damp wardrobe can be transformed by the use of a small safe to touch panel heater. You can have a glass panel heater as a centrepiece for your living room as they are elegant in their own right and they can be bought in different colours. 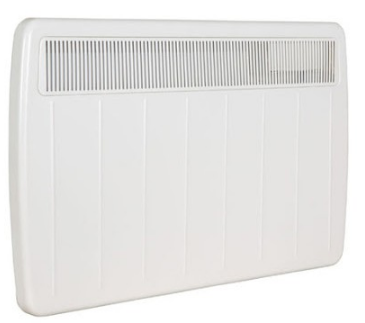 We stock several glass-fronted panel heaters. A panel heater can be placed anywhere in a living room to boost heating in winter, or for a room that’s only used occasionally. Several panel heaters can be strategically positioned around a living room, and extensive spaces which we refer to later. 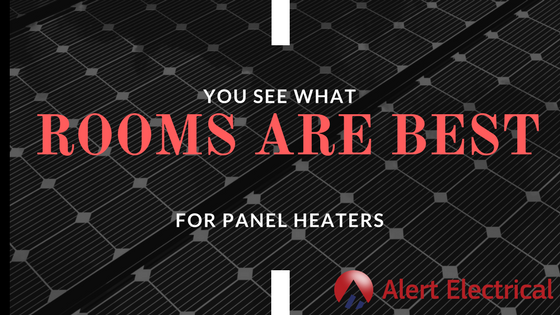 Panel heaters in children’s rooms, whether that’s a nursery or bedroom, should be carefully checked that they are safe to touch and easy to adjust. Many children like sleeping in temperatures lower than the main living areas and parents’ bedrooms and panel heaters give these rooms that versatility. You can sleep soundly too, knowing your child has an efficient, safe, independent and controllable heat source. Outside the actual property, heat sources for pets can be a difficult problem to solve. 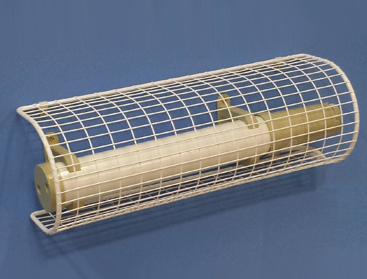 Rather than a panel heater one option that we have had the most success with is using a tubular heater that stops the pet having access to the heater. They give a low level of heat that stops the room getting too cold while being cheap to run. With many conservatories cooking in summer and freezing in winter, panel heaters make the ideal accompaniment for conservatories changing them from a two season to four season room. Quick to heat up, easy to install and without the need for building regulations, panel heaters make a great addition to conservatories. We stock low profile panel heatersto run under windows and many are thermostatically controlled and with timers. In holiday homes, second homes, lodges, panel heaters are a perfect choice. They are maintenance free, can be switched on only when the place is occupied and, unlike water-based heating systems, are not susceptible to freezing. Inexpensive to install, and efficient to run, panel heaters are perfect for these places. With power output ranging from 0.4kW to 3.0kW, panel heaters are perfect for small and large rooms. Particularly large rooms may benefit from three higher powered panel heaters to spread the heat evenly, with the benefit that all three are programmable with thermostatic controls, maximising efficiency. Places like village halls, churches and chapels often have panel heaters installed as they are quick to distribute heat and safe in use. We do supply panel heaters to all UK addresses - cost of carriage to Northern Ireland, the Highlands and Islands may be higher, please check at the checkout page for a current quotation. Convected heat is carried around the room in the form of heated air. When air is heated, it expands, becoming less dense. The heavier, cooler air around the heater, under the force of gravity, displaces the warmer, lighter air upwards. As the heated air rises it diffuses with the existing air further from the heater. The hotter the initial heat, the further the convected hot air will flow before diffusing in to the air. We hope you’ve found this post on panel heaters useful. If you have any more questions, please don’t hesitate to contact us via live chat, email, telephone or our contact form.